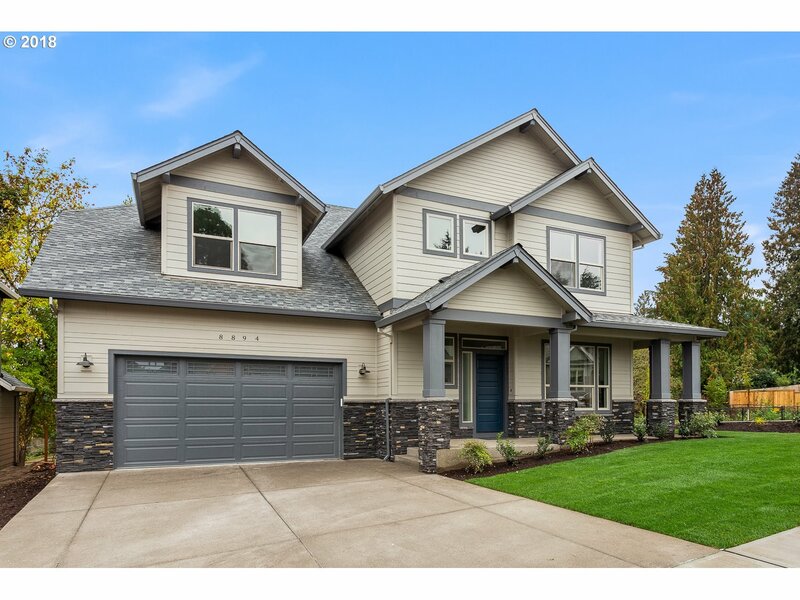 All Tigard homes currently listed for sale in Tigard as of 04/24/2019 are shown below. You can change the search criteria at any time by pressing the 'Change Search' button below. 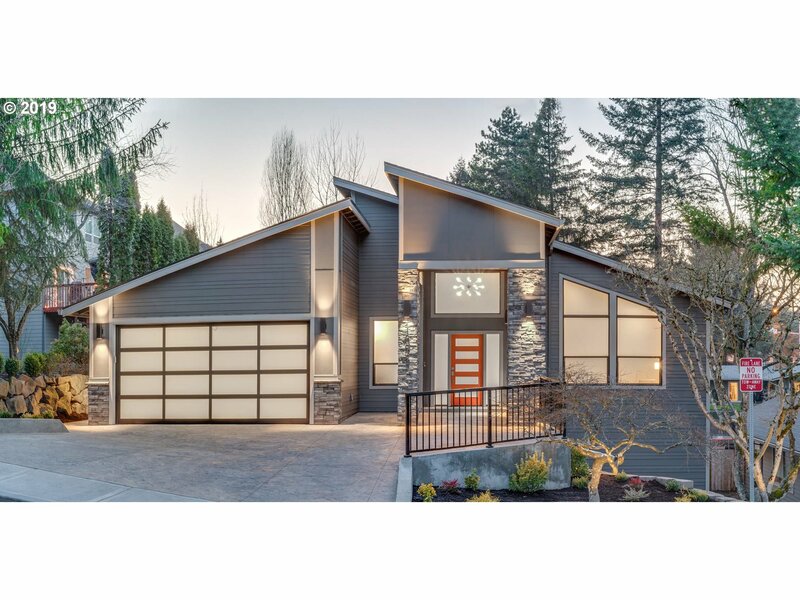 If you have any questions or you would like more information about any Tigard homes for sale or other Tigard real estate, please contact us and one of our knowledgeable Tigard REALTORS® would be pleased to assist you. "Discover Luxurious Living w/One-of-a-Kind Views of 4 Mountains and Valley. Spacious Custom Designed floor plan highlights the natural light, views and offers privacy and easy access by Hydraulic Elevator to 3-levels of living w/plenty of room for entertaining. Upper level apartment perfect for multi-generational or integrated living with bedroom, bathroom, full kitchen, laundry and private entrance. Amazing location, schools, community!" "Zone R6 = 6 units per acres .buyer to do due diligence regarding development with Washington county .Very private country living.180 degree view of the valley .Lots of possibilities for development." "Street of Dreams, The Visionary, combines traditional design with a circular, flowing floor plan. Eye-appealing curves, including a custom-designed staircase, give this home timeless elegance that is perfect for entertaining. Plentiful windows allow an abundance of natural light giving each space an open and airy feel. Situated on nearly half an acre, the property is convenient to downtown Portland, Beaverton, Nike & Intel." "Exquisite 1 level living! Top of the line finishes. You will love to entertain in this luxurious Chef's kitchen boasting a huge quartz island! 20ft ceilings offering light filled living at its best. Master Bed offers walk in closet & views to outdoor living! Spa like master bath too! Pics of home. Home Sold AS-IS! Taxes TBD. Bldr Paperwork. 3Yr Service Program!" "Exquisite Move-in ready home! Sold AS-Is. Upgrades Included in home. BRAND NEW 1-Level located in desirable Bull Mtn. Gorgeous entry to a spacious great room home offering tons of light and 20ft ceilings. Designer interior selections. Chef's kitchen offering quartz counters and huge gathering island. Mstr suite w/walk-in closet. Enjoy the serenity in this new home. Taxes TBD. Pic of exterior. Features are exquisite!" "Remarkable home on gorgeous half acre lot in Shadow Hills! Spacious home has 4 beds up and enormous guest suite w/sep ent on main. No cost spared on recent spectacular kitchen remodel, totaling $95k. Upgrades incl designer cabinetry and prof level s/s apps, plus more. $30k also recently invested in complete remodels of both upper baths! Media room with projector & 13' screen, plus huge bonus room. Amazing yard! Fresh exterior paint." "Gorgeous, 1 1/2 year old home in a prestigious community on Bull Mtn. Better than new. Large level back yard that backs to protected greenspace. This spacious home has an open concept floor plan & is great for entertaining. Home features 10' ceilings, a dream chef's kitchen, glamorous master suite w/spa worthy bathroom, large basement w/custom bar & pool table, beautiful landscaping, water feature, firepit & a nice view." "Outstanding contemporary one level living 4 bedr plus office.Large kitchen,SS appliances,Quartz countertops,custom cabinets.Engineered Hardwood.Amazing Master Suite w/generous WI-closet,double sink,walk-in shower,soaking tub.High-end finishes,tile floors,lots of natural light.Entertainer Dream Huge lower level.Impressive covered deck.Large fenced lot fully landscaped,sprinkler syst,Park-like setting.Dual zone 98+High Eff gas heating&AC." "Elegance in Hillshire Estates.Private 1/3 acre treed.The large open entry gives way to the formal dining room,living room,main floor office,and staircase.Beyond the entry lies the family room,dining nook,kitchen, looking over the private treed property.The kitchen features granite counters,cook island,butlers pantry.The vaulted master suite features a gas fireplace and its own separate office.7 bedrooms, 4.5 bathrooms,and storage!" "Attention to detail shows throughout this new custom modern farmhouse style home conveniently located in Tigard with excellent access to I-5 & 217 in a quiet, established neighborhood. Exceptional finish materials throughout including quartz slabs/undermount sinks in all baths, extensive hardwood flooring, open spindle staircase designer tile. Fully fenced/landscaped with irrigation. Central AC." "Proposed extraordinary custom home on a spacious, flat lot. Room for everyone in this spacious open living concept floor plan. 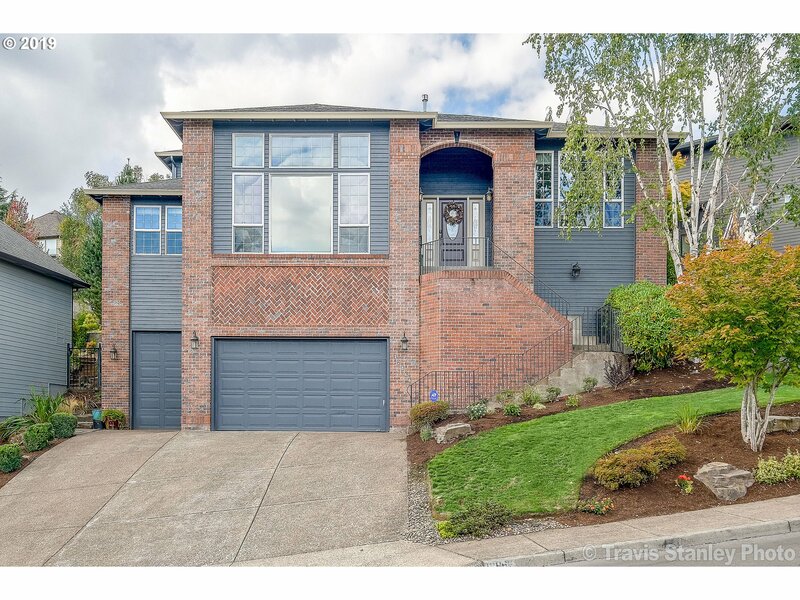 Enjoy entertaining or relaxing in the spacious master suite or take in the view from your second floor balcony.Serene neighborhood close to Progress Ridge, Washington Square and much more." "Proposed stunning custom modern home on a spacious, flat lot. Envelop yourself in this light and airy floor plan thoughtfully laid out for entertaining or retreat to your master suite to relax away the day or enjoy the view from your second floor balcony.Serene neighborhood, close to Progress Ridge, Washington Square and much more!" "Beautiful new construction with modern farmhouse great room design. Deluxe master w/shiplap, ceiling fan, spacious full tile master bath with soaking tub/shower. Gourmet kitchen with quartz slab, farm sink, walk in pantry, hardwood flooring. Full size utility room with built in bench seat. Den with closet across full bath on main. Fully fenced, landscaped with irrigation. Central AC included. Plumbed for built-in vacuum system." "Absolutely Gorgeous !! Beautiful tall ceilings ! A custom built home with attention to detail! A large kitchen with stainless appliances, granite counters, and a large island that will satisfy the gourmet cook ! A lovely large .31 acre lot that is manicured ! Two bedrooms upstairs with a jack and Jill bath . A bonus room upstairs with a pool table ! A spacious office downstairs and much more.. Come by and notice the difference !!!" "Immaculate Bull Mountain Home w/Stunning Custom Features!The Grand Entry Leads into the Gorgeous Gourmet French Country Kitchen&Spacious Family Rm w/Beautiful Builtins&a Cozy Fireplace.Dining Rm is Draped in Moulding&Opens to the Light&Bright Living Rm.Den on the Main.Luxurious Master Suite w/a Custom Closet&Tile Shower.Pristine Backyard w/an Extended Paver Patio,Retractable Awning&More!Quality Finishes Make This Home a True Must See!" "OPEN HOUSE-4/28, 12-3PM! Welcome to Amesbury Heights-a lovely high-end community of 20 custom homes! This beautiful family home is at the end of a dead-end st & borders a priv wooded lot. The desirable flr plan has all liv spaces on the main lvl & all bdrms upstrs. Gorgeous kit w/ granite counters, custom cabs & SS GE Monogram appls. Lots of plantation shutters. Lrg mstr bdrm ste w/ jet tub. Lovely fenced backyard w/ 2 lvl paver patio." "Property accessible from Omara or Hall Boulevard.Property zoned R4.5. Three types of properties can be built on real estate. QUAD, Courtyard Units or Cottage Cluster." "Don't miss out on this 2527 sq ft tri-level home on .94 acres. Great house to remodel or flip. Move in condition, just needs updating. Home boasts 3 bedrooms and 3 full baths. 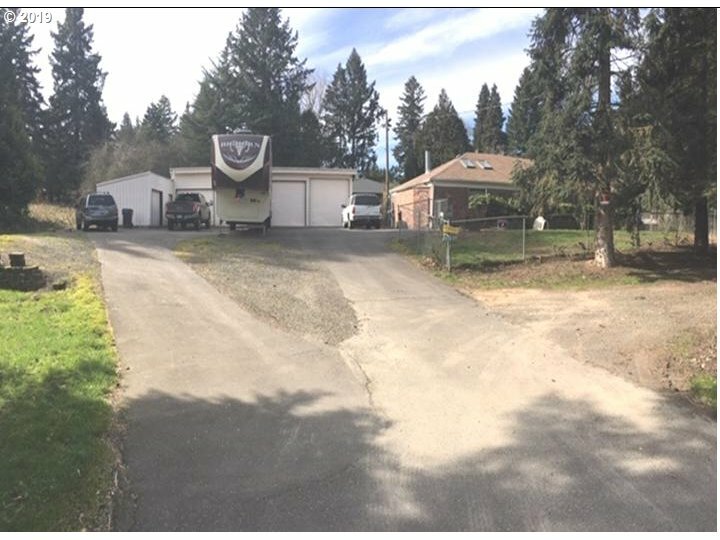 Private driveway, RV parking, tool shed, hot tub, and deck off back. Master suite has a balcony facing the beautiful views of Mt. Hood. The land may also be dividable into separate lots. Zoned R-4.5. Buyer to do due diligence." "Modern Craftsman is 3-levels & STUNNING! The moment you walk in the door you will find features not found in an average home. Great Room flr plan. Gorgeous hardwood floors, high ceilings, big rooms, flr-to-ceiling stone fireplace & huge windows. Beautiful millwork & upgrades. Lower-lvl provides extra space & guest quarters. Wonderful deck & low maintenance yard. Great flr plan for entertaining. Lots of storage." "Fabulous home in a great NBHD! This beautiful home boasts 6 BIG bdrms & 3.5 baths including two highly desirable master suites, one on each level! 6th bed can also be used as den/office. spacious loft upstairs is perfect for a second sitting area or bonus room. Open FLR-PLN, beautiful hardwood throughout dining rm, amazing backyard patio, perfect set up for any entertainer! Lots of windows make this home light & bright. open Sun 1-3"
"WOW, this is a show stopper! Transitional Craftsman Custom Home built by Ironwood with Master on the Main. Great Room Concept. Towering vaults with exposed beams. No detail spared. Abundance of skylights, wainscoting and crown molding. Tranquil backyard w/water feature, mature landscaping & built-in storage shed. See video link." "NW Contemporary on a .23 Acre with breathtaking unobstructed views from the Great Room, Kitchen, Master Suite & 2nd bedroom. This home is perfect for an active family that desires a large backyard and space to play. Great Room boasts Floor-to-Ceiling Fireplace & High Ceilings. Stunning new kitchen is perfect for entertaining. Family room features a 2nd fireplace & sound system. Great Room, Den, Bonus and man cave. A 10!" "Custom five-bedroom home on Bull Mountain with spectacular views of Mt Hood. This upgraded smart home has expansive refinished hardwood floors. Boasts new 50-year roof, a/c and furnace. Garage has extra high ceilings, with overhead storage. Home is an entertainer's delight with a generously sized gourmet kitchen and new upgraded SS appliances. Spacious covered patio and open floor plan allow for plenty of family and friends year-round." "Entertainer's Traditional style home with amazing Mt. hood views! Open concept with great light on main floor! Kitchen has Granite! SS appliances! Island! Walk in Pantry! Double oven! Large deck with beautiful views of the sunset and mountain! Built ins! Gas Fireplace! Tons of storage! Large Master suite w/ walk in shower and soaking tub! Walk in Closet! Nicely landscaped with water feature and Hot Tub!Great location! Great schools!"